We moved to Burbank a year ago and since then we’ve enjoyed getting to know our little slice of suburbia. 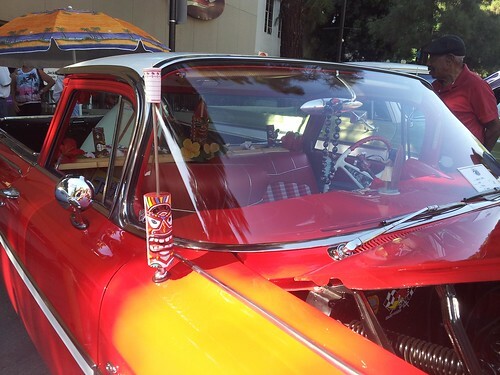 On July 27, the city hosted the 2nd annual Downtown Burbank Car Classic, featuring 200 hot rods and other restored automobiles from the days when cars really had style. 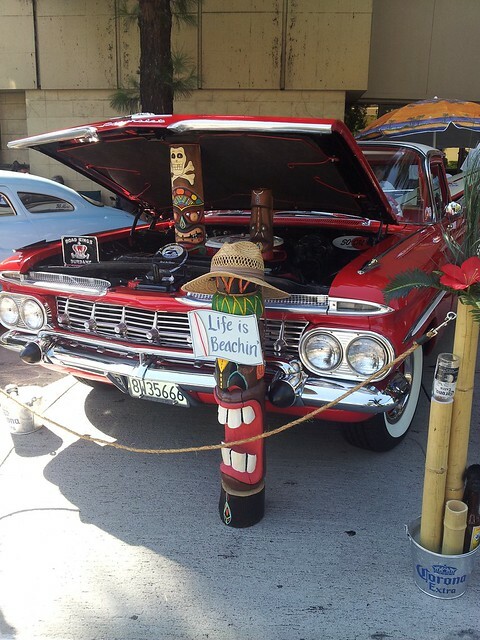 I missed the event as I was out of the country (more on that in a future post), but our friend Saima sent me these photos of this red-hot beauty that had been tricked out tiki-style. Thanks to Wikipedia, I figured out it’s a 1959 Chevrolet El Camino, the original model that was only produced for one year. 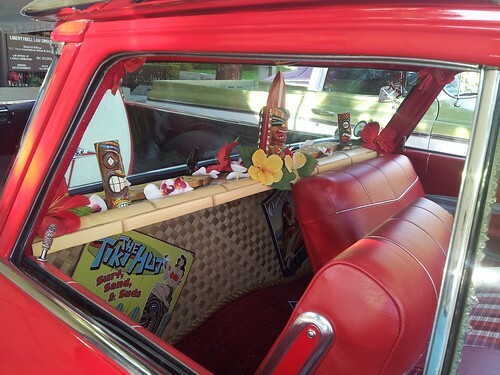 In addition to the colorful tikis under the hood, there’s more inside along with bamboo and lauhala matting detailing and a tin tiki sign. And check out those tiki door lock knobs! 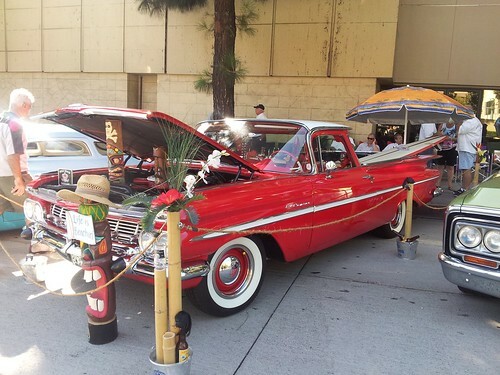 Burbank seems like a great place to live for vintage-style happenings! Awesome! Good luck finding your vintage trailer.